WIDE OPENING DESIGN-Fancy changing bag style combined with casual women backpack. 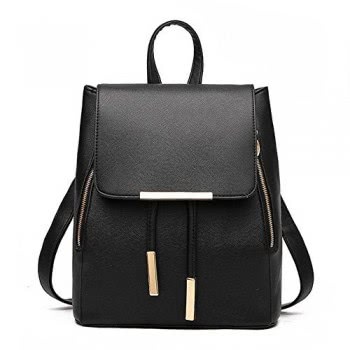 Special wide opening design make this hipster backpack both practical and stylish! Wide Open Design – Fancy changing bag style combined with casual women backpack. “Doctor Bag” style at the top, which make this school backpack easy to access, with frame to keep steady, more structured. 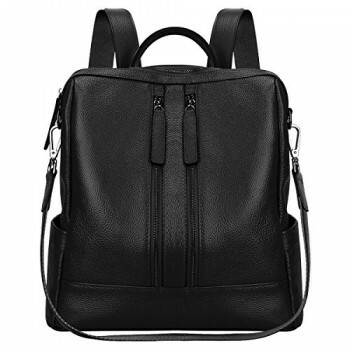 A hipster school backpack both practical and stylish! 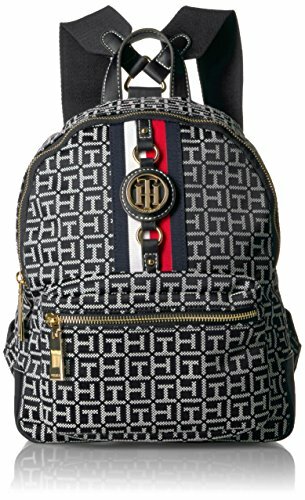 Perfect Travel Size – OVERALL SIZE: 15.43″ x 7.8″ x 9.65″ (L*W*H). A perfect under seat carry on luggage, can easily accommodate your 14 inch laptop or tablet, camera, books, bottles, A4 folders, documents, clothing or everything you need in travel. You can also pack it full of clothes and use as a weekender bag for a short weekend getaway. Comfortable – Lightweight backpack evenly distributes weight on both shoulders using padded straps. Ideal for reducing back pain you might experience when you carry a shoulder bag or heavy purse. Adjustable shoulder straps, padded back for comfort, padded bottom to protect your valuables. Carry hands-free while you still look chic and fashionable! Multipurpose – Best Wide Open Backpack for short Traveling, Dating, Shopping, School, Office and Commuting. It will be a perfect school bag for Women, Teens, Boys and Girls, Secondary & Elementary & Middle School, High School and College Students. Also as a Simple Nappy Backpack, Baby Diaper Backpack for moms. 100% Guarantee – If it doesn’t meet your expectations, just contact us at once. If anything at all goes wrong with your Backpack, you have 1 year to request a replacement, completely for free. This is our crazy promise and we mean it! We believe our Wide Open School Backpack could can meet your needs and accompany you every day!